When Volkswagen first launched its new compact SUV years ago, buyers quickly were impressed by its driving dynamics. Indeed, this was one of the few compact SUVs that was actually fun to drive, and that offered car-like handling. As a matter of fact, you could say that it was almost sports car-like handling that you found in the previous-generation Volkswagen Tiguan. That said, the last Tiguan wasn’t perfect as it was lacking interior space. That’s no longer the case with the completely redesigned, new-generation 2018 Volkswagen Tiguan. Sure, the 2018 Volkswagen Tiguan is still a blast to drive and it’s still very impressive when it comes to handling and steering. That hasn’t changed. Was has changed, however, is that the new Tiguan is now built on an extended wheelbase which means a lot more interior space. For starters, front and rear passengers will get a lot more leg and headroom, and there’s enough space inside the Tiguan to offer an optional third row behind the rear seats. That means that you can transport seven passengers in your Tiguan if you need to. If not, you get more than 1000 litres of cargo space with all seats in place, and more than 2000 litres if you lower the rear seats. Now, that’s a lot of space, no doubt about it. 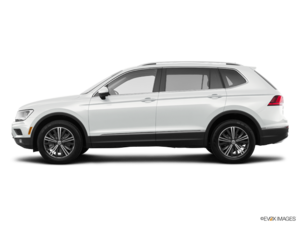 In fact, the new 2018 Volkswagen Tiguan is one of the most spacious compact SUVs in its class. Under the hood, you get a 2.0-litre, four-cylinder engine that delivers 184 horsepower and 221 pound-feet of torque. This engine is paired with an 8-speed manual which means that despite the fact that you get more power than any other compact SUV in entry-level form, you still get impressive fuel economy. 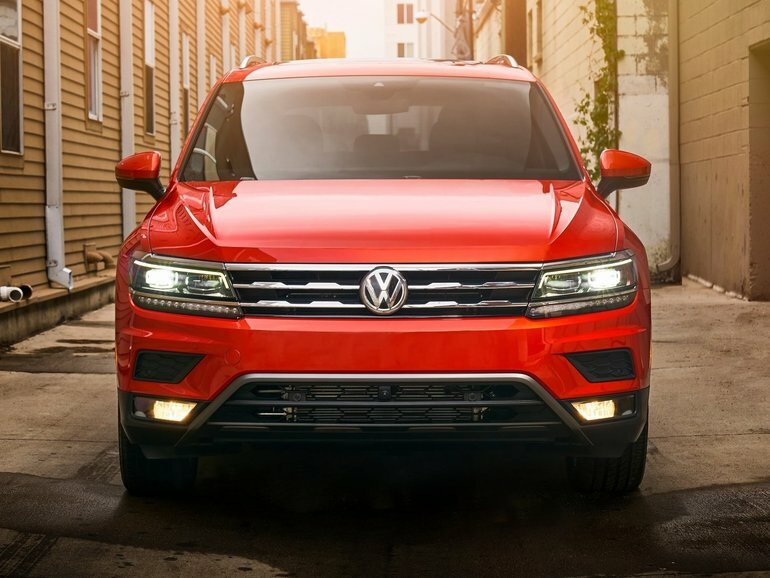 To learn more about the 2018 Volkswagen Tiguan, contact us today at Clarkdale Volkswagen.